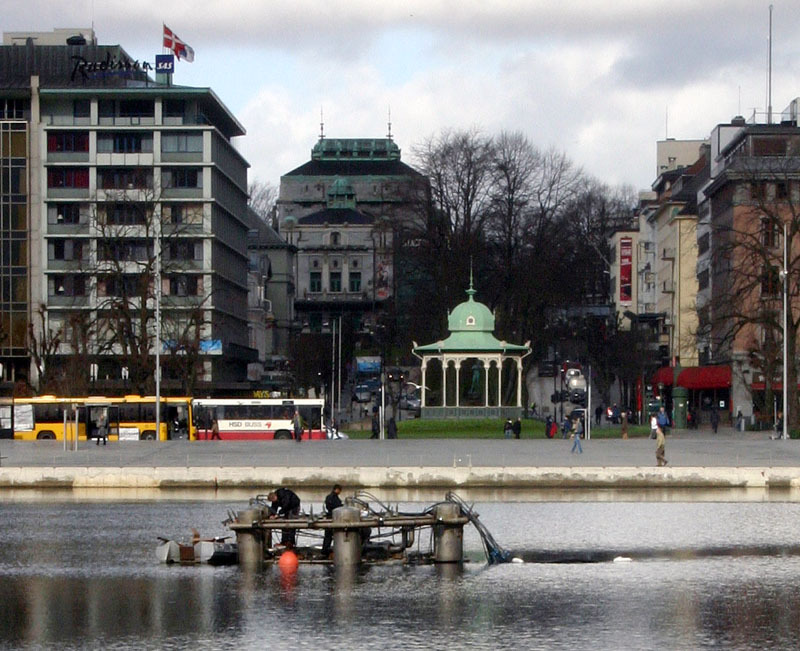 Drilling for oil in Bergen? 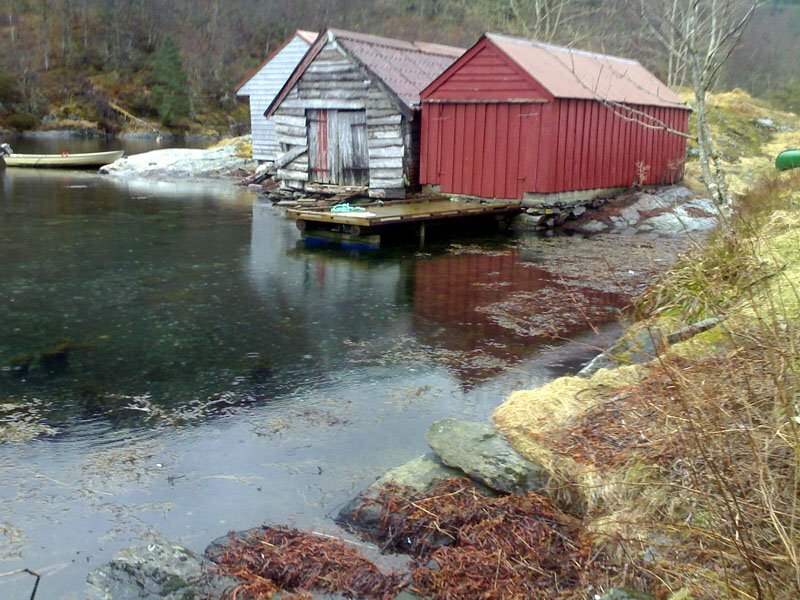 We all know that they have found oil along the coast of Norway - but in the middle of Bergen? This outfit was clearly doing something in the "holy" lake of Lille Lungegårdsvann in Bergen. Maybe the miserable economy of the city can get the boost it sorely needs. But I am afraid not. It is just maintenance work being done on a fountain in the middle of the lake. Pity, or...? Some of my loyal readers might wonder if I am only interested in ships and boats. Not so. Therefore I took this picture today at the Bergen Railwaystation showing one train making ready for crossing the mountains to Oslo while the other is scheduled to go to Voss, one of the foremost Norwegian skiresorts. It is also partly in memory of my farher who worked for the railway Company (NSB) for the largest part of his working life and who would have been 91 years old on the coming Monday. There has lately been much talk in Norway about a turnaround for our military forces, what is left of it. Is this what we are seeing here? Or is it just the fog that is fooling both the captain and us? 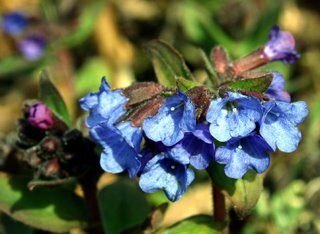 I am not a botanist - just your everyday hobby photographer who suddenly finds that he has some nice flowers in his own garden! In this case outside his cottage. I ought to know what they are called, but I haven't had the time to look it up. But never mind - the important thing is that they look nice and it's spring! This picture I dedicate to Truls for his nice comment and for the guts he shows in the situation he is. I do like to take "sappy" pictures, so here is another one. It was taken at the same time as the one below. 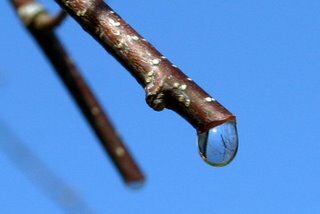 In case anybody should think that it is always rain and snow and so forth around here, I have posted the picture above. 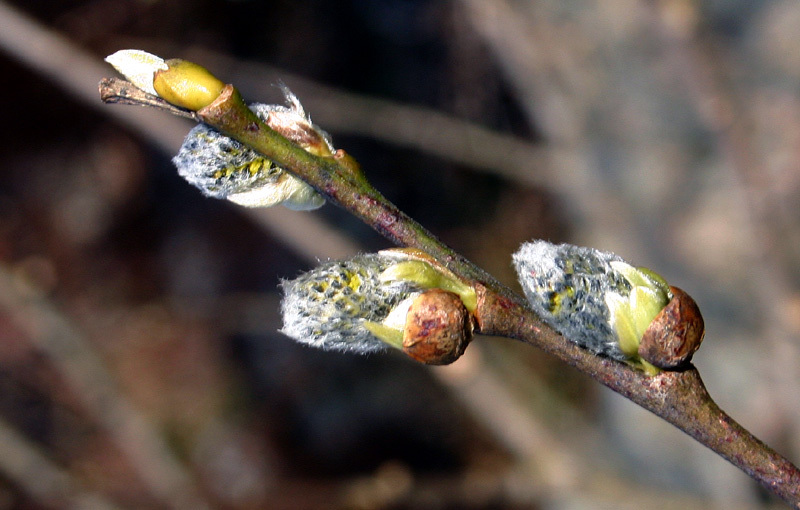 It was taken today in bright sunshine and shows that life and growth is here. Well - let's try it. It is straight from my mobilephone camera (Nokia N70) and in MP4 format, but beware - it is large and non-edited! 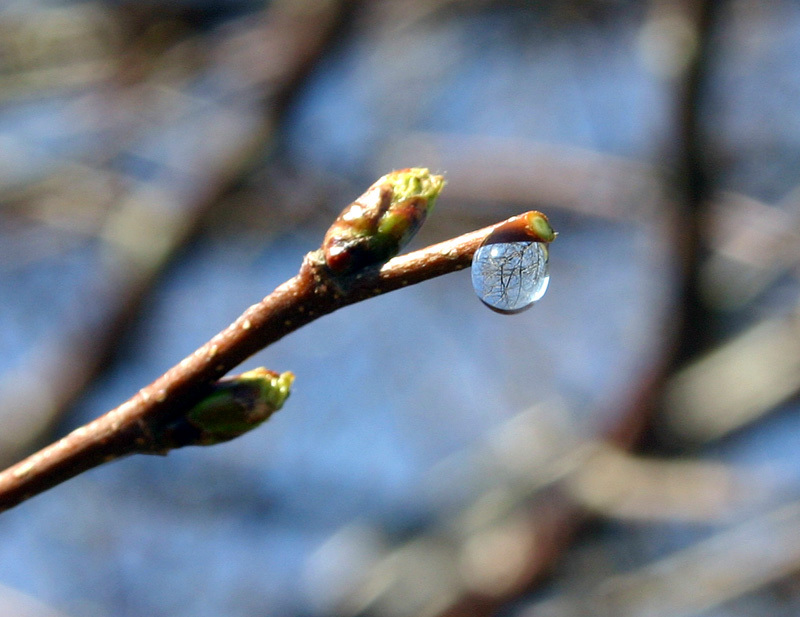 It is springtime in Norway, and that means among other things rain. And the water has to leave again. This shows you one way. 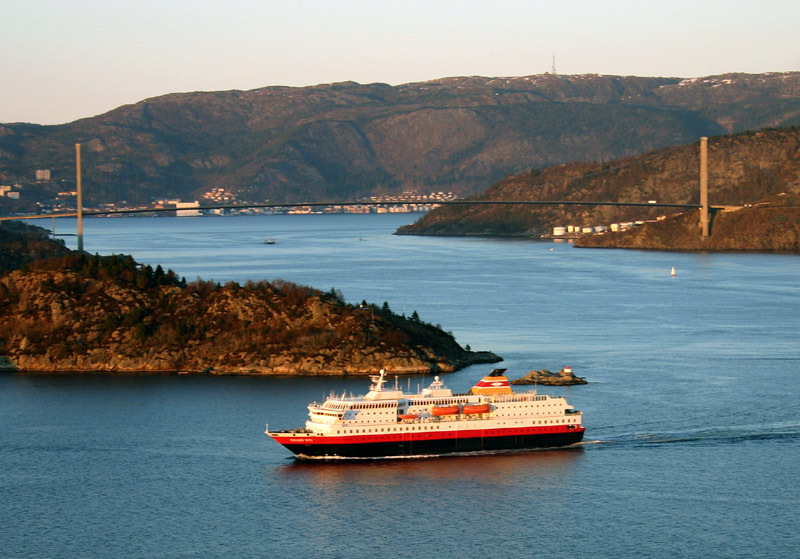 The Norwegian Coastal Voyage, or "Hurtigruten" as is it's proper Norwegian name, travels along the Norwegian coast from Bergen in the west to Kirkenes in the far north-east by the border of Russia. It has a history that goes back more than a hundred years and brings people (lots of tourists), goods, cars and whatever you want to bring from one place along the coast to another. 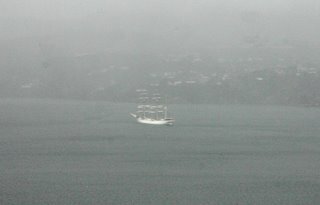 The picture shows "M/S Richard With" (the link is to an on board WEB-camera) yesterday evening just outside Bergen on her way to the north. The last weeks have been cold and/or wet around here, so what promsied to be an early spring turned in to being a late one. But today, for the first time this year, I at least managed to fasten catkins to the camera's CCD. Here they are. Some days ago I showed you a picture of Statsraad Lehmkuhl in the fog, barely visible. Today, however I can proudly present her more as she should be seen, only lacking all the sails set. For comparison in size - look at the small pleasurecraft to the left. 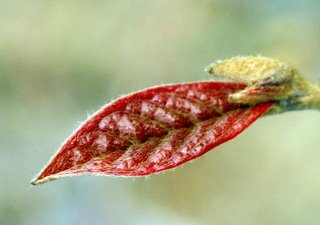 There is an old rule of thumb in photography that says that a little bit of red in a picture can enliven anything. In this picture there is more than a little, but that is also needed considering the weather and colours of the surroundings. The Norwegian coast is crowded with such small boathouses. Some are in excellent repair, some in less. 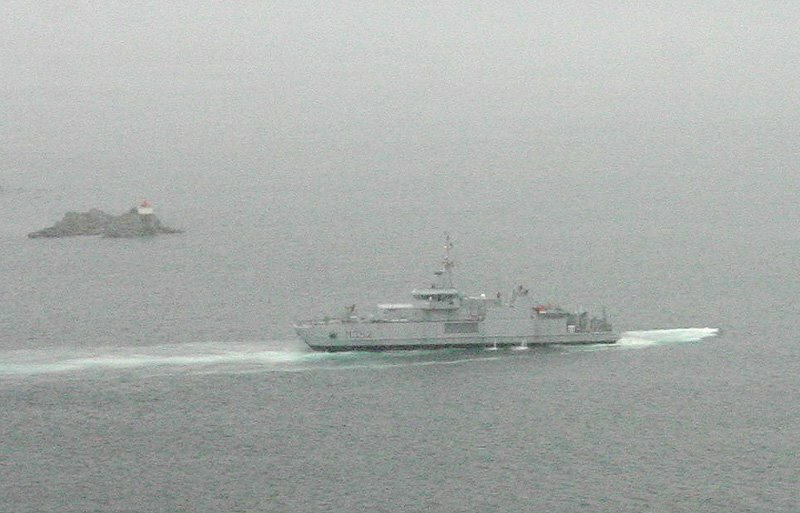 These three are at the inner end of Hindenesfjoden, an arm of Fensfjorden, some way to the north of Bergen. 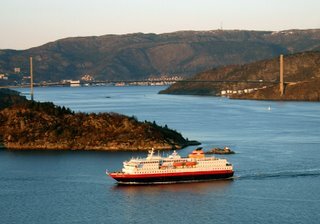 Fensfjorden's largest claim to fame is that it leads to Mongstad, Norway's largest oil refinery and port of exportation for oil products. 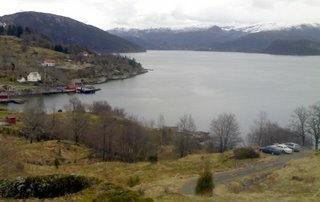 Here we see a small, partial view of Osterfjorden, already mentioned in the latest two post (1 and 2). The snowcapped mountains in the background are on the Osterøy island, the largest inland island in Norway. 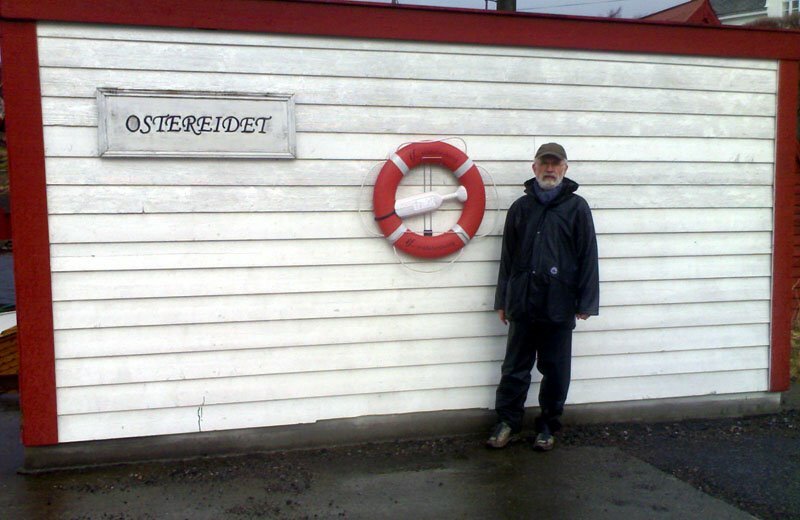 The wharf to the left is the same as shown before; so this part of the little village of Ostereidet. It is situated on the mainland. 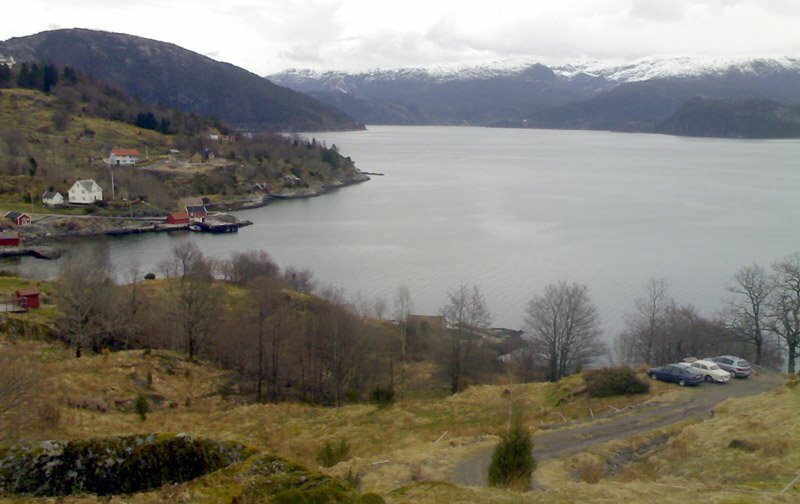 The fjord turns sharply to the left in the baclground of the picture - right in front of the mountains. Today's picture is from Bjørsvik, another idyllic little village by Osterfjorden north-east of Bergen. 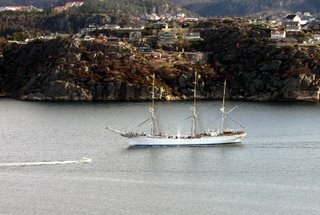 The steamer in the middle of the picture, alle dressed up in canvas for the winter, is "D/S Oster". 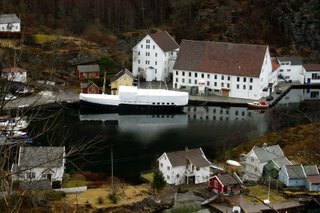 It was the most famous of the small steamers engaged in traffic along the western coast of Norway and the last to be fired by coal. 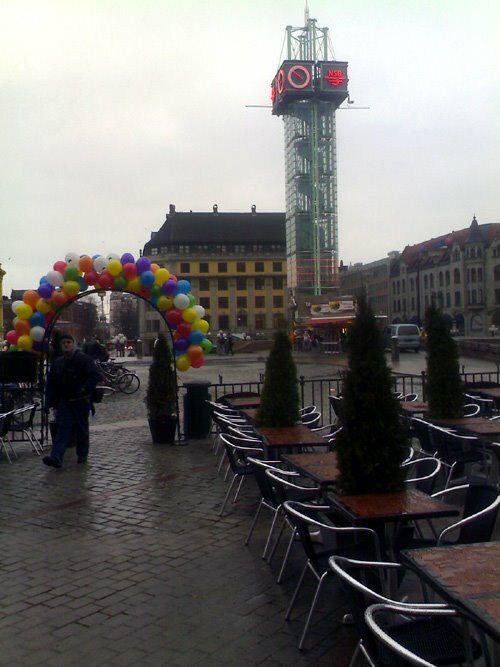 It was sold in1965 against large popular protest, even made immortal by the song "Gamle Dampen". Now it has been almost totally restored by enthusiasts and is the pride and joy of the area. 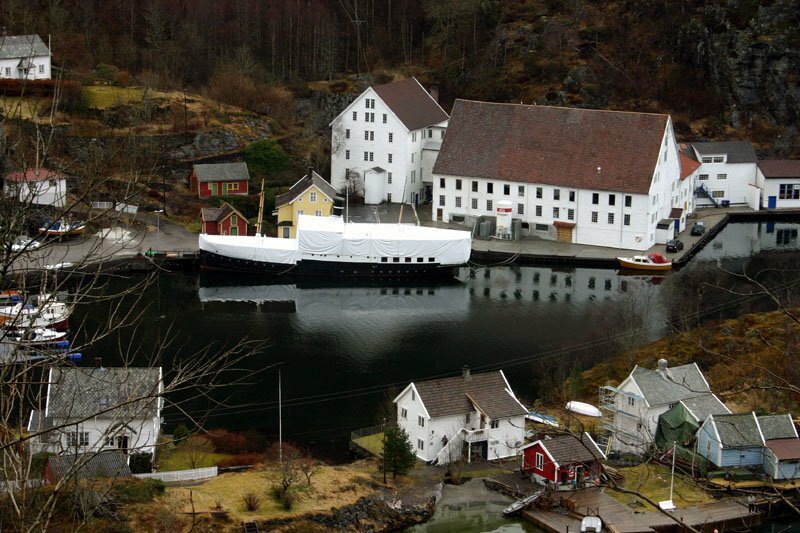 The large wooden buildings to the upper right were initially built as a mill, than functioned for many years as a factory of canned sardines and is today connected with the salmon business. 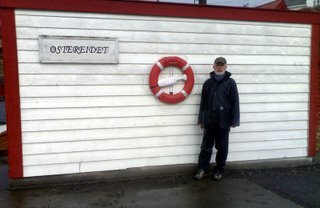 Ostereidet is a very small village by Osterfjorden, one of the fjords north-west of Bergen. The picture is taken on the wharf today, in-between the squalls not unheard of in this part of Norway around Easter. In the old days this was the center of a small area. Here was the small shop. 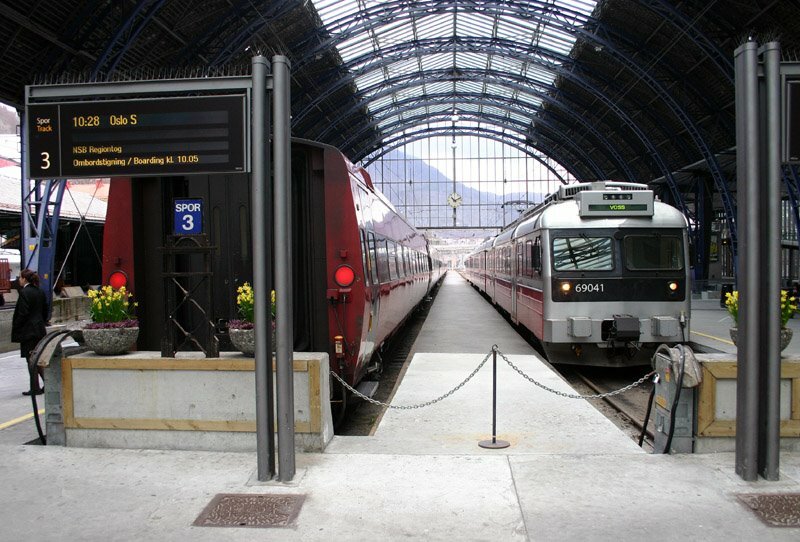 Here the local steamers stopped on their way to and from Bergen. Here the local news were swapped and small deals were made. That is long gone. The progress has moved the traffic from ships to cars and busses. The shop is by the main road going through to larger places far away. It is no longer the center. But the nostalgia still remains. Yesterday I showed you a red spring. 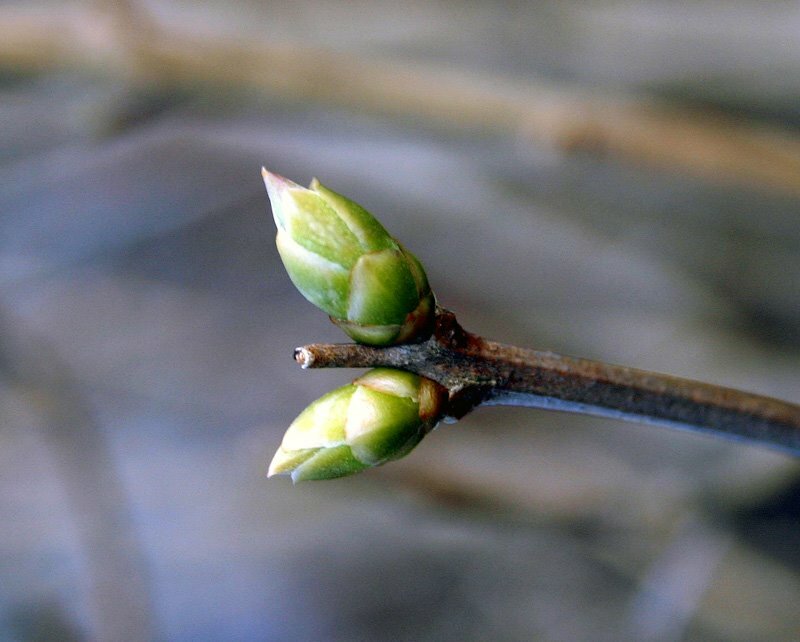 Today I will be a bit more traditional and show you a picture of traditional Norwegian green buds striving to emerge into freedom and glory. Spring is the time for life, light and enjoyment. The colour of spring has always been green. But not in this case - here it is red. This emerging red leaf shows that the evolution sometimes makes a small detour and incorporates a phenomenon such as the red pigment in this leaf. In addition to showing life, it makes for an interesting life. 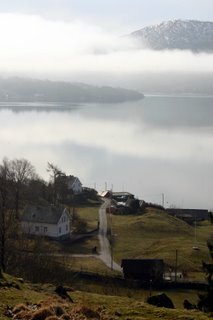 The picture was taken around ten o'clock this morning from our cottage, overlooking Osterfjorden, a Norwegian fjord northeast of Bergen. You can see the fog slowly rising, revealing a beautiful spring day. A chilly, but quiet Sunday before Easter. Typical for this part of the country in April with hills and fields slowly starting to turn green. The Norwegians are no better than anyone else. 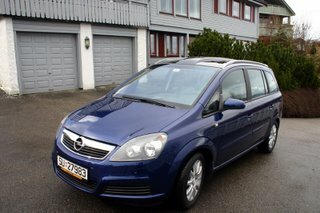 So today I celebrate the acquisition of a new car by displaying it here. It was ordered and equipped as a taxi (and Norwegian taxi-drivers don't skimp on anything when it comes to theis cars). However, in this case the deal didn't come off, so I got a chance; and grabbed it. I don't thing I'll regret. 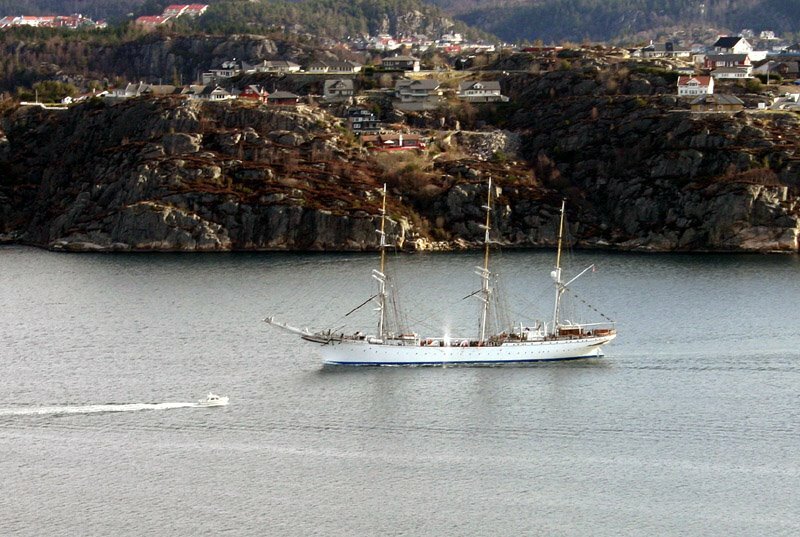 Todays picture shows Norway's largest sailing vessel, "Statsraad Lehmkuhl", returning to her home port, Bergen. As we can see, the fog is thick, but she ought to know the way. She was built in Germany in 1914, but was bought by the shipowner who's name she bears after World War 1. She is now owned by a foundation. 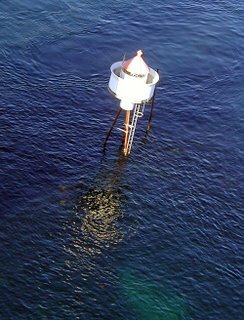 In a country such as Norway, with fjords, sounds, islands and all kinds of difficulties for the maritime traffic, lighthouses in all shapes and sizes are found along the coast. The one shown here is a very common type used to mark sunken rocks. BTW, I took the picture this morning from the bridge shown in this post.